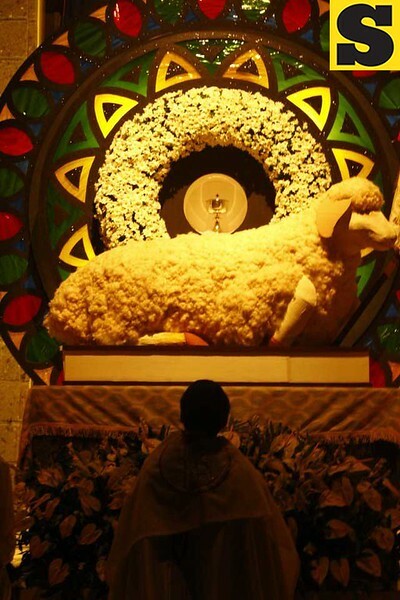 Jesus Christ is portrayed as the Lamb of God in the Repository of Holy Name of Jesus Parish in San Roque Bitas Arayat where Rev. Fr. Ivan Torno led the Maundy Thursday vigil during the traditional Visita Iglesia.